If you’re visiting a major European destination, take a day or two to visit one of these under-the-radar and easy-to-get-to smaller cities. You’d have to have a heart of stone not to be moved by the little streets of Paris, the palaces of Vienna, or the twisting canals of Venice. After all, there’s a reason these iconic cities are as timeless and as popular as they are. But Europe is more than just these well-known destinations. These cities may be the ones on the postcards, or the ones you’ll see plastered over everyone’s Facebook vacation photo albums, but some of Europe’s most beautiful and exciting cities are often also some of the continent’s smallest or most unassuming. If you’ve done the big ones before—or even if you just have a few days to spare while visiting a major hub—then enough can’t be said for the experience of hopping onto a train, bus, or ferry and taking a short trip to somewhere really new. For example, while visiting London, why not take a day or two to visit the medieval city of Bruges? 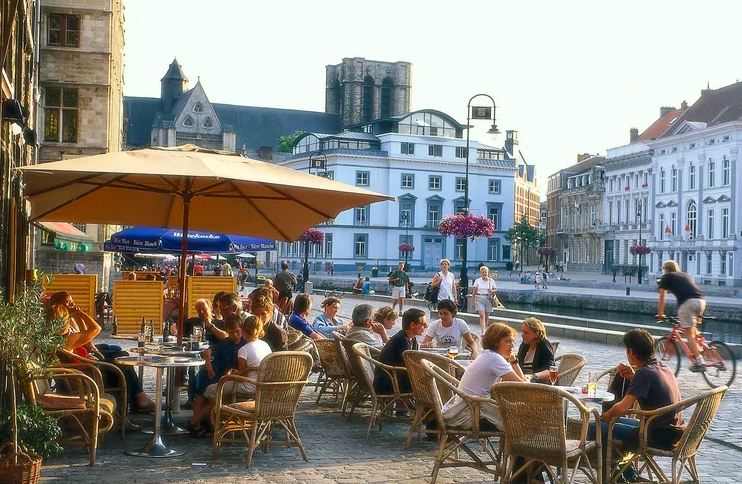 Just a few hours away by Eurostar, Bruges is a quiet, lovely city of canals and cobblestone streets (not to mention the city’s famous belfry). Similarly, Poland’s Szczecin is a beloved waterfront city that’s just a quick, two-hour train trip from Berlin. Bratislava, the charming capital of Slovakia, isn’t as popular a destination as Vienna, but it’s an easy day trip from the famous Austrian metropolis (only an hour away by train) and is a perfect home base for wine-tasting expeditions in the surrounding countryside. All of the European detours listed here are easy, convenient trips: just a few hours away from a major city via affordable mass transit. (No private drivers or even car rentals necessary.) But, perhaps more importantly, all of the cities included—few of which get the attention they deserve—offer intrepid travelers the chance to have a unique, under-the-radar European experience. 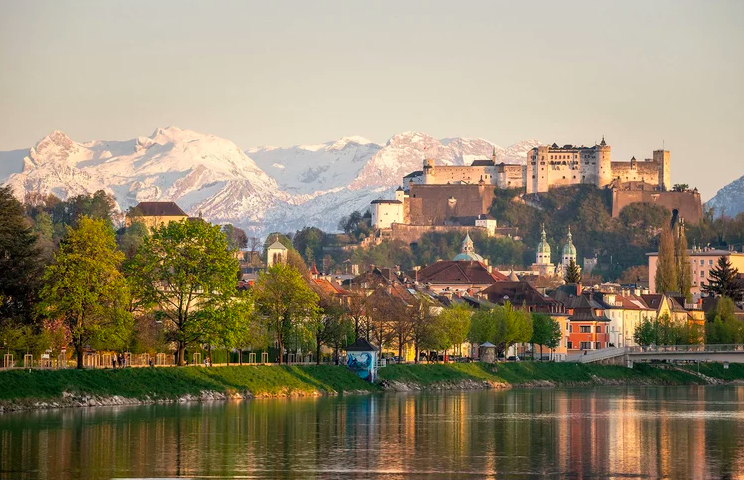 Perhaps most famous for being the birthplace of Mozart (as well as the setting for The Sound of Music), Salzburg lies just on the border with Germany. A fully preserved embodiment of Baroque architecture, few modern buildings have been allowed a place in the inner city, meaning it today looks almost the same as it did four hundred years ago. In more ways than one, Salzburg is as Austrian as Austria gets. The Route: The Munich to Salzburg route is a quick cross-border train journey: prices range from $20 each way and it’ll take you an hour and a half to get there. If you opt for the bus (go for Flixbus) it’ll cost $8 each way with a journey time of two hours. Where to Stay: If you’re in Salzburg, you want historical luxury, and if you want historical luxury, you want Hotel Schloss. The hotel (which served as the filming location for the von Trapp family residence in The Sound of Music) is set inside a stunning 18th-century palace with a beautiful interior and remarkable surroundings. Where to Eat: It’s no palace, sure, but S’Kloane Brauhaus serves classic, rustic Austrian cuisine (wiener schnitzel, venison stew) and home-brewed beer in a warm, traditionally decorated environment. What to Do: Take a Sound of Music tour, or visit the birthplace of Mozart, which is now a museum. Or just head down to the Alter Market and dedicate your day to eating as much Austrian street food as you can. As the country’s seventh-largest city, Szczecin often finds itself in the shadow of some of Poland’s more popular destinations, such as Warsaw or Kraków. 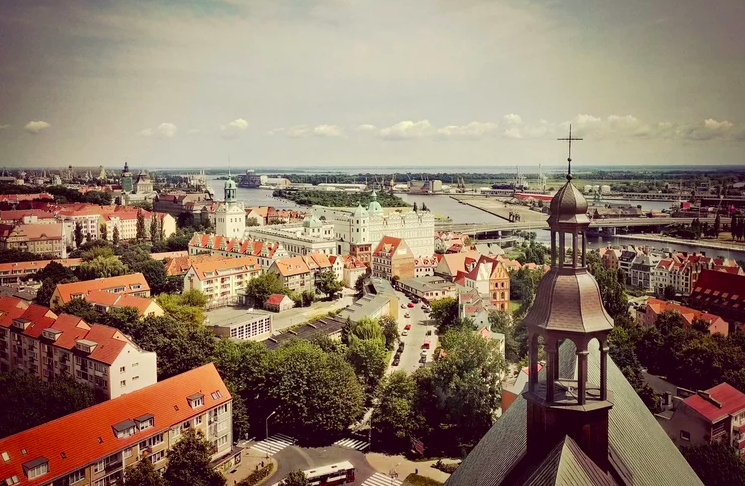 Nonetheless, this port city (located just on the Poland-Germany border) is as well loved by German tourists as it is by locals, chiefly for its gorgeous riverfront and locally made beer and vodka. The Route: Luckily, Szczecin is as easy to get to as it is hard to spell. You can catch a train from Berlin’s Gessundbrunnen rail station straight into central Szczecin for about $75 round-trip, and you’ll arrive in well under two hours. Where to Stay: The Park Hotel is a little slice of luxury situated right in the middle of Szczecin’s Old Town, only a short distance away from pretty much everything in the city worth seeing (including that aforementioned riverfront). Where to Eat: You won’t have to go far for this one—the Park Hotel’s restaurant is one of the highest-rated in the city, and offers up a range of Polish and international dishes. What to Do: The Szczecin Philharmonic hosts a number of events through the year, and the striking building itself is a wonderful example of Poland’s architectural eccentricity.